My kitchen has been busy, my life busy and bustling. School has started which is consuming me from early to late hours. Thankfully my evening class is now over. Grades have been posted and it is time to move on to other projects such as the upcoming shoot for my TV show, Charlotte Cooks. 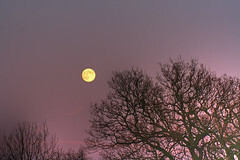 September heralds changing weather; last night a blue moon! I hope you all got to catch a glimpse of the second full moon in a month. The next blue moon will occur in 2015. August life caught me in between my parents in California and the earthquake tremors (news reported over 400 in one day; they said it was ‘down below from them’) and my son being slapped around by TS Issac in Florida. I must say he holds his cool much better than I do. For anyone keeping track, his apartment renovations have been extended for an additional 4 weeks due to “discoveries” during the current re-model. They need to replace all duct work, pipes and ventilation, carpeting, appliances etc before they get to move back in. So his cooking skills are on hold as are the “How To Cook” posts until he gets back into his apartment. Anaida returned and brought me a wonderful carving kit from The Carving Academy in Moscow so this is new in my kitchen this month. 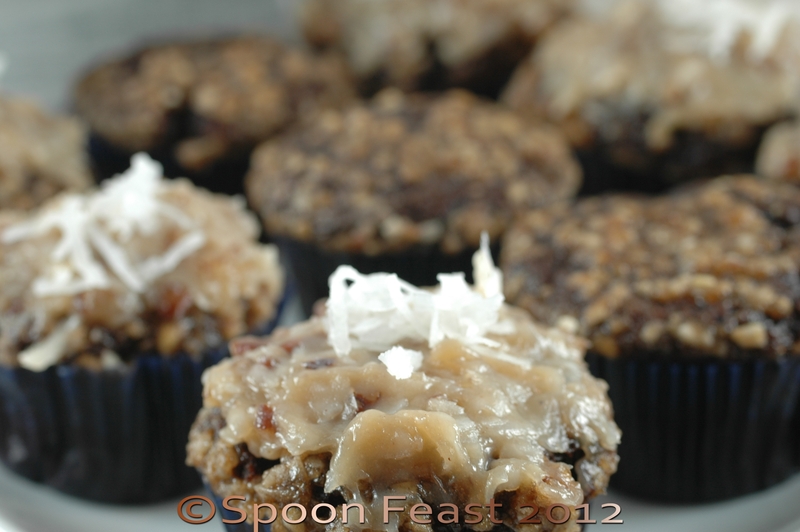 About a hundred German chocolate cupcakes marched through my kitchen last weekend. I am writing a post on baking from a box that will be out in a few days. A friend bought an expensive mix and wanted to know if it was worth the money. We delivered the cupcakes and mini-cakes all over the neighborhood to the delight of lots of children. The most delightful Thank-You for German Chocolate came from our neighbor Suzanne. I found this hanging on our door. What a delightful bunch of fresh herbs! They smell so good! 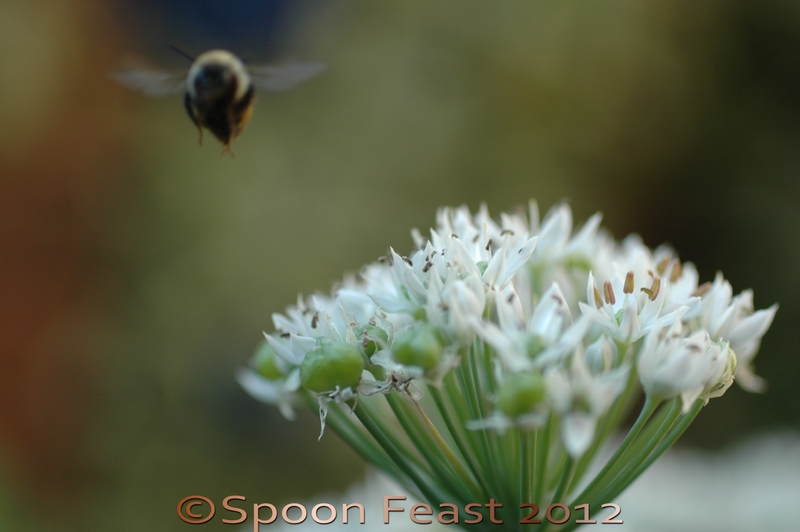 This August has my garlic chives in bloom. Every time I cut any of my fresh herbs, I always say thank you. Bumblebees visit the flowers every day, I like this photo. It was one of those surprises when I downloaded the photos to my computer. I have cooked a lot this last month buy didn’t document much of it at all. Does that make me derelict? September has me looking forward to Fall and cooling temperatures. Hurricane Issac brought tropical humidity to the area which makes it muggy and sticky outside. I feel like making some brightly colored macarons and more lemon curd this afternoon. It would help me to finish the lemon curd post I started in July. Charlotte is hosting the Democratic National Convention the next few days. We expect total chaos around the immediate area. I plan on taking my camera and going for a walk uptown to see how far I can get with steel barricades blocking streets and helicopters in constant motion overhead. I wonder how many pictures they will allow me to take in the name of security. If you see all my photos coming from my i phone, you will know my camera has been confiscated. So that catches you up with In My Kitchen this month. Celia at Fig Jam and Lime Cordial is the creator of this great idea. Thanks Celia! I feel as if we have been out of touch. This entry was posted in In My Kitchen and tagged cook, food, Kitchen, nature, plants. Bookmark the permalink. Two impossible things in this blog: one, bumblebees are aerodynamically unable to fly and two, those cupcakes were so good it was impossible! The kids (and parents) we gave them to lit up like Christmas trees when they saw them. I am so glad you took them around! We both new they couldn’t stay in our kitchen very long. Yep, one bite was OMG!!! I am glad the earthquake tremors did not effect my friend! I love the photo of the bee! It was a surprise when I saw it. Gosh those garlic chives sound wonderful – and your herb bouquet is just lovely! Thank you, I have used those herbs to the best of their ability! There is nothing like an abundance of fresh herbs. Pamela, we’ve been frantic over here too, and I’ve been missing reading everyone’s blogs! I’m glad everyone is ok in amongst all the natural disasters! We saw the blue moon here as well – just amazing stuff! 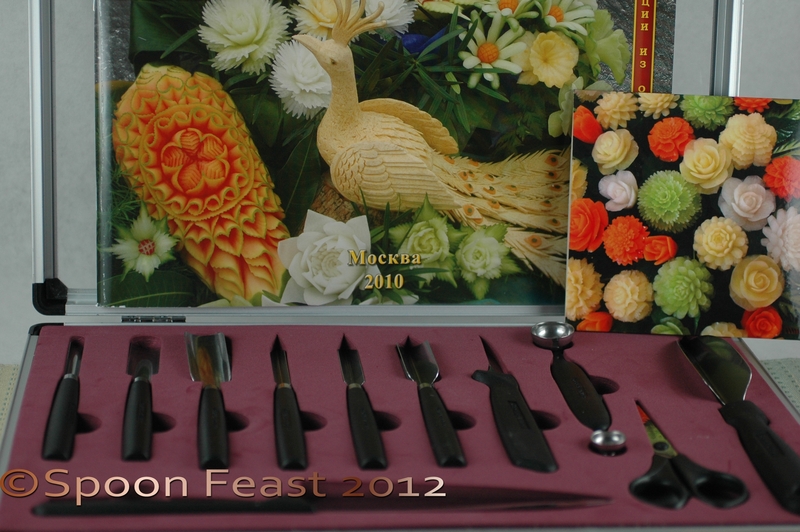 The vegetable carving set looks amazing, and how wonderful to find a bag of herbs hanging on your doorknob! Such a treat! We have garlic chives in our backyard, but I don’t think I’ve ever seen them flower…hmm. Thanks for sharing your wonderful kitchen with us! August was a whirlwind! It feels good to have a few days to catch up with everyone’s blogs! I feel as if I have missed some friends. Isn’t blogging great! 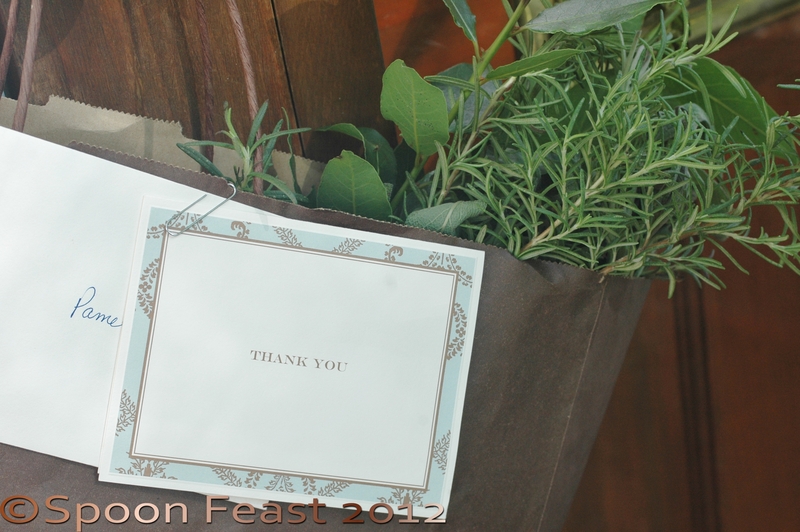 I love the herb bouquet- that is one of my favorite kind of scent-sational gifts. I know what you mean about baking and making so much with a photograph to spare- I usually think about taking a picture when the plate is almost empty. AND- I enjoyed watching the blue moon come up over the Atlantic Ocean from a vantage point in Chincoteague/Assateague, Virginia- it was gorgeous! Oh! I bet the moon rise was amazing! Lucky you!